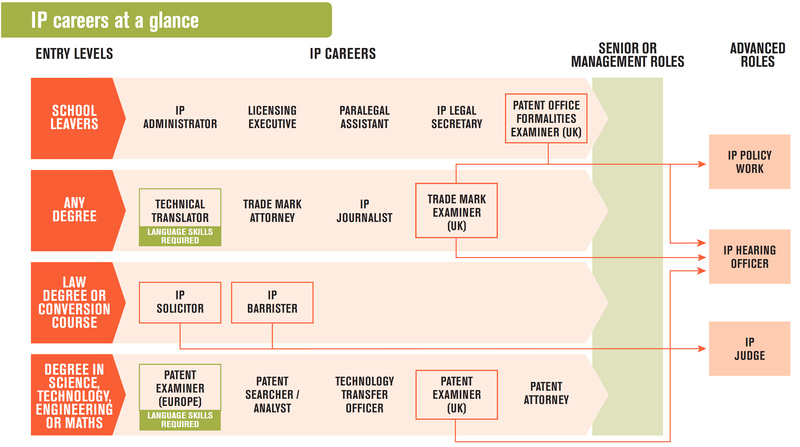 From high-flying lawyers to super-efficient administrators, from innovative designers to international business people, there are many careers in ideas and intellectual property. Explore the map of opportunities. Take a closer look at just some of the roles, meet people who do those jobs and search for openings for you. A solicitor gives legal advice to clients and represents them in negotiations or disputes. Working at the Intellectual Property Office, a patent examiner decides whether applications for patents can be granted. Needs: An understanding of the law and science could be helpful (but isn't essential).